So yeah, I redid the cover of ‘Deathmatch’ Much better I’d say. I’m now in the process of reworking the whole thing, to update and simply make the whole thing better. 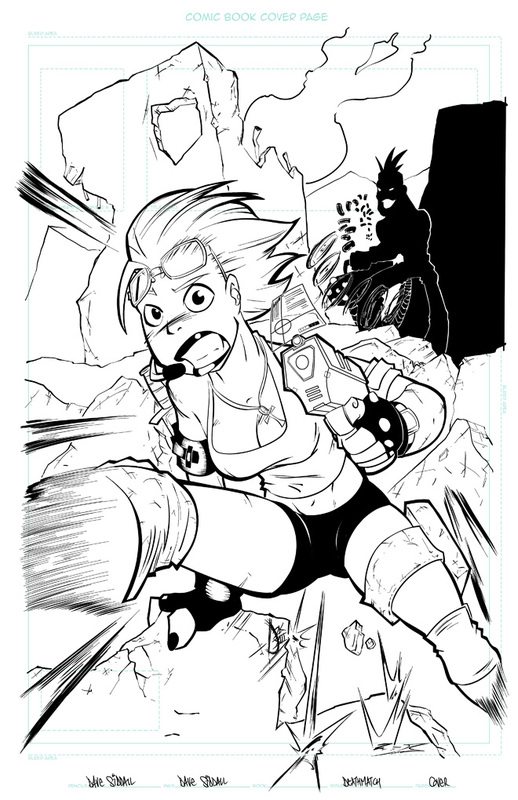 In other news, ‘Monster Mashers’, the project I’ve been working on with Evil Moose Comics’ Mike Salt, has now had the pencilled pages handed over, and I’ve started to work on a cover the the 15-page tale. There are a couple of funky projects lining up for the near future too, so busy-busy-busy! In other news, I stumbled across my original biro layouts for ‘Truckers’, my space-based tale of surly employers, ultra-violent ex-girlfriends, and unionised ship-controlling artificial intelligence. Clocking in at a rather unintended 52 pages, I’m hoping to have it out and in people’s sweaty, grasping hands this side of the rapid endothermic reaction in Hell. Previous Previous post: Sneakoid Teh Peekoid!